← This Is Deadly Serious! Why did Gladio stage the mosque mass shootings in New Zealand when gun ownership is already restricted? Police Commissioner Mike Bush has confirmed that the death toll in the Christchurch mosque attacks has risen to 49 people. A male in his 20s has been charged with murder and will appear in court tomorrow. Bush confirmed that a further 20 people were injured in what is now the worst ever mass shooting in New Zealand history. Some 40 people were taken to hospital but it was not targeted in the attack, contrary to rumors online. 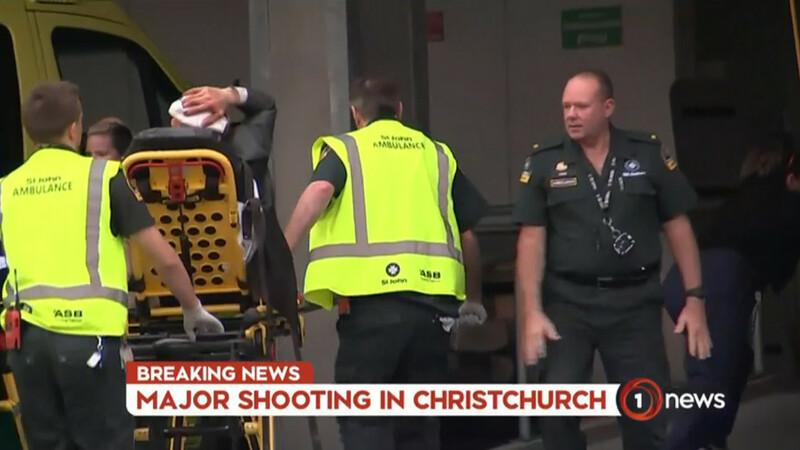 “It is clear that this can now only be described as a terrorist attack,” New Zealand Prime Minister Jacinda Ardern said. In the aftermath of the attacks, New Zealand has been placed on its highest security threat level according to Prime Minister Jacinda Ardern. Four people were taken into custody, three men and one woman, in connection with the attack but only one has been charged with murder so far. It has been confirmed that all four held extremist views but were not on any police watch lists. When asked if police were looking for any other persons of interest related to the case, Bush responded that “we never assume that there aren’t other people involved” but that “at this point we are not looking for any other persons.”One of the four has already been charged with murder and will appear in court tomorrow but Police Commissioner Bush declined to confirm the name of the suspect prior to the court hearing. The extent of the other three suspects’ involvement has yet to be determined. Bush declined to speculate on the motives of the attacker and would not confirm whether clear threats had been made on Facebook prior to the attack and that police had prior warning.He also confirmed that, while there were two Improvised Explosive Devices found on one of the perpetrator’s vehicles (one of which was deactivated, the other is still being worked on by the New Zealand Defence Forces), no bomb belts or other explosive devices were found on the body of one of the suspects as had been speculated as the situation unfolded. The Bangladesh National Cricket team was due to visit one of the mosques but managed to escape the violence.